Honda's new compact SUV has been spied undisguised, ahead of its world debut next week, at a recent media event. 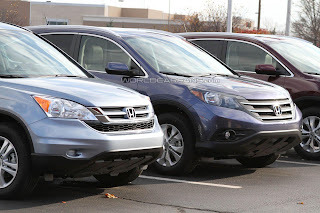 The pre-production CR-V's with all-wheel-drive were snagged roaming around in California, alongside the outgoing model for comparison purposes. 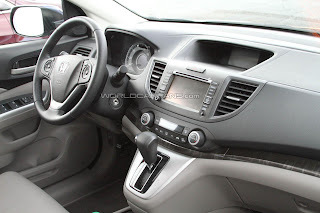 Spies also snapped the interior, which features a compact screen on the centre stack, new instrument panel, and a foot-operated parking brake. those plastics look cheap and scratchy. Honda will detail the new CR-V very soon.